Warsaw Hoopfest integrates SPORTSMANSHIP + TEAMWORK + INTEGRITY into fun activities that are central to our annual event. Creating a day camp environment enhances these experiences by making it less intimidating for our young athletes and a stress-free environment for spectators. On event day, participants are immersed in activities such as a skills challenge, 3-point contest, and finally round robin play that develops their skills on and off the court, emphasizing the importance of exercise while interacting with Oregon students and athletes. For details on the event and a look at this year's agenda, please visit the Warsaw Hoopfest tournament website. Throughout the day the players will be under the instruction of staff leaders where they will learn important lessons on sportsmanship, teamwork and integrity all in Matthew Knight Arena. During their time with us, children will be involved in a plethora of activities to enhance their game. For instance, participants will enjoy sets of skills challenges where they will be able to demonstrate their talents. This event will also include a “round robin” style of play throughout the day where each team will play every team in their respective groups. 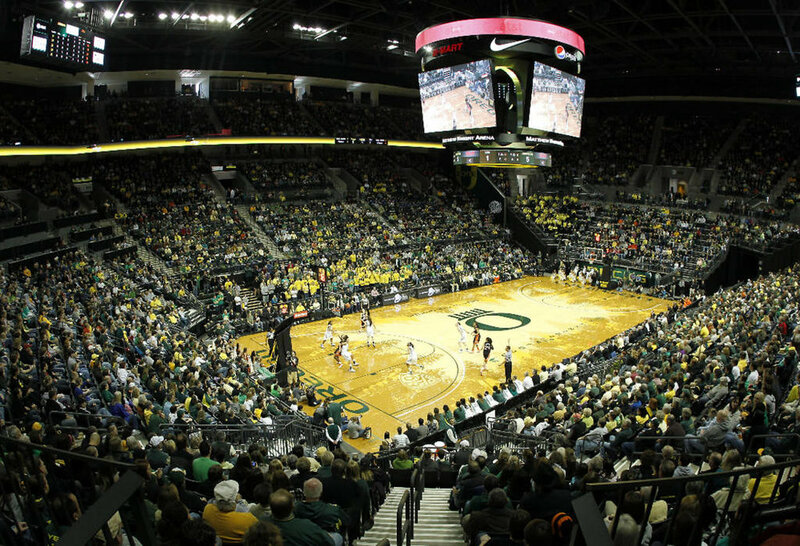 In addition to team play, participants and families will have the opportunity to hear from well respected members of the UO Athletic Department to get insight on why it is important to be a respectable athlete. KIDSPORTS very own Bev Smith will provide a seminar for parents and spectators and how you can do your part in supporting your child’s athletic career. We would like to welcome families to attend and enjoy the day with us, we invite spectators to watch gameplay, participate in the seminars and test their luck in various raffles! Coffee, donuts and other foods will be available for purchase at the event as well. During their time with us, participating players will be given a free t-shirt, various door prizes, and will be provided with lunch. To end the day, participants will gather at an awards ceremony where various achievements from throughout the day will be recognized.